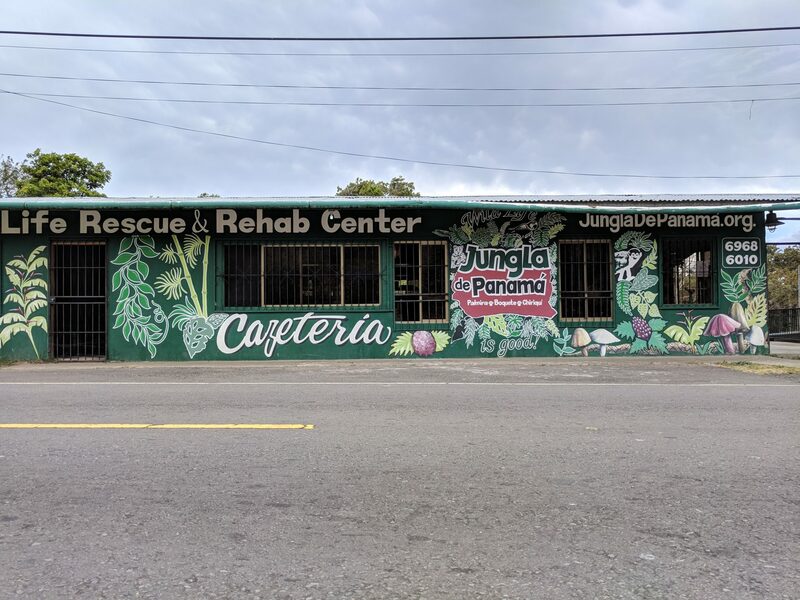 Not far away from one of the most popular destinations in Panama, Boquete you can find the Jungla de Panamá Rescue Centre. 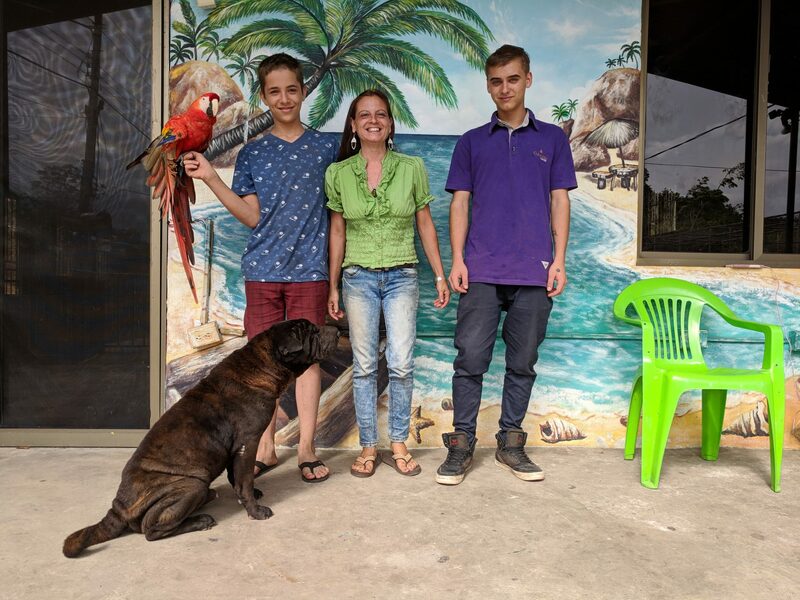 I found it almost by chance, while I was researching what to do in Boquete, and me and the friends I was travelling with decided to visit this small rescue centre in the nearby village of Palmira. Once we arrived we were received by one of the kids of the owner, who offered to show us the different animals they have there. 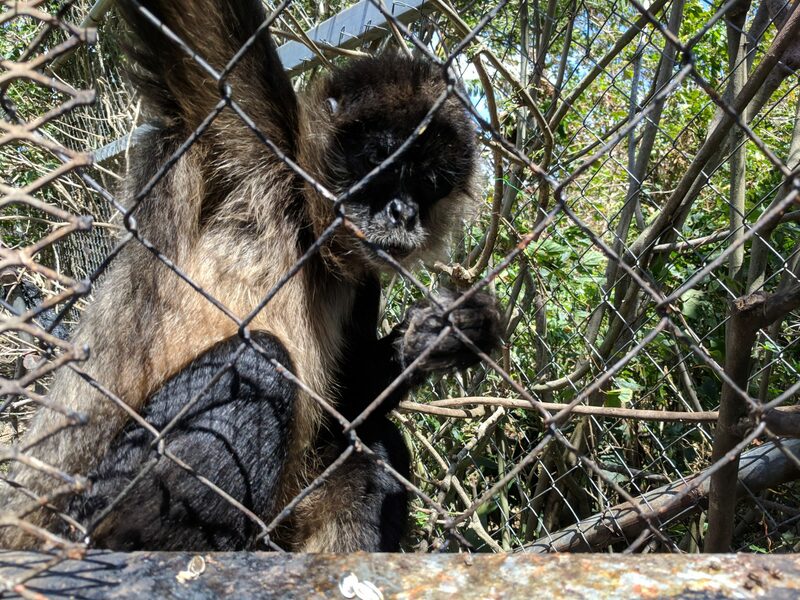 Our first stop were the spider monkeys, where we had to chance to give them a few sunflower seeds through a small gap. This was the perfect way to start. After all, how many times can you get that close to these animals? This is probably the only way I can get this close to a spider monkey! After spending some time with the monkeys we moved on to a beautiful owl with, sadly, a broken beak. That means he can only eat from a narrow selection of food, like mincemeat. We actually were able to get inside the cage and feed it. It was an amazing experience, and again, a unique opportunity for something you definitely can’t do every day! Right next to the owl they had a beautiful racoon. This animal was having a blast with the kid, and behaving almost like a dog or a kitten. Racoons might have a bad reputation, but this one was the proof that they can also be playful. We could touch it briefly, but we didn’t feed him. After spending a few minutes feeding some seeds to a few parrots, we moved on to see a very surprising combination: a hawk and a bunny. 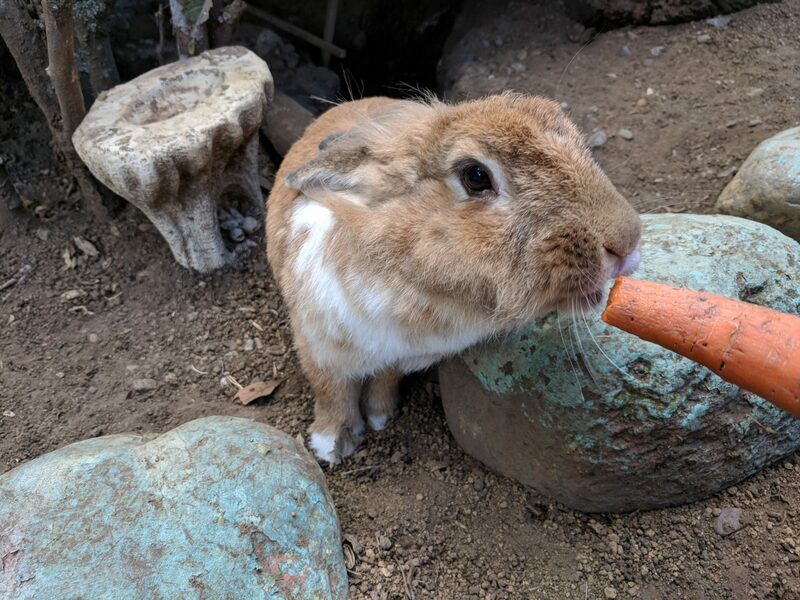 Actually a few bunnies. This unlikely combination apparently worked pretty well, and the bunnies definitely didn’t seem to mind the hawk, since they were happily sharing the space and they had tunnels that go outside the centre. At this point we turn around and discovered that the macaw statue on a nearby desk wasn’t a statue at all, was an actual macaw! 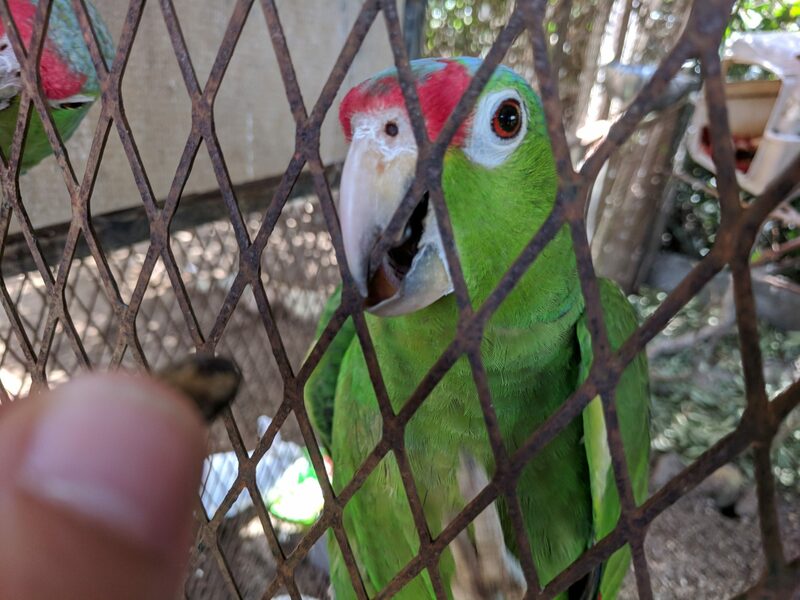 This poor animal had a broken wing, but loved spending time with humans and saying a few words from time to time, especially ‘hola’, Spanish for hello. Apparently all the animals in the rescue centre, by the way, are bilingual! They understand both English and Spanish. 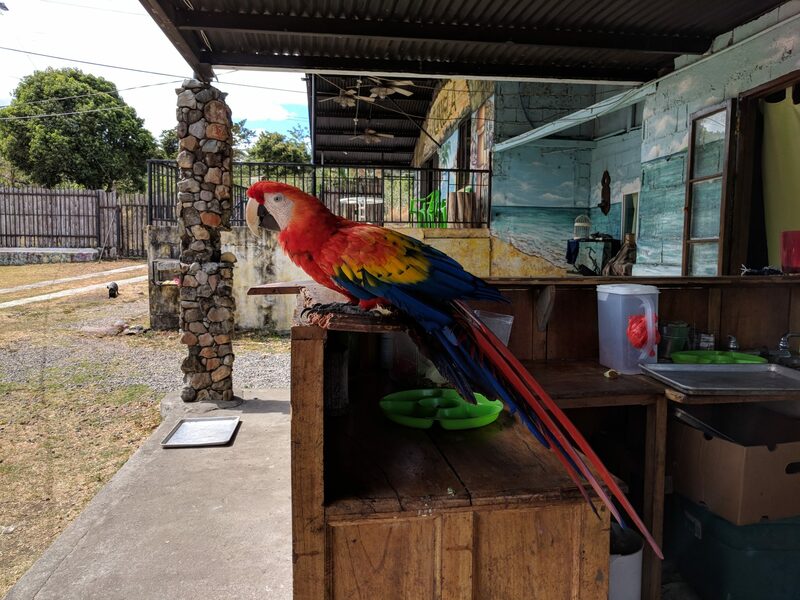 Beautiful macaw in the rescue centre. Sadly, it has a broken wing. There were much more animals in the rescue centre, although less exotic. 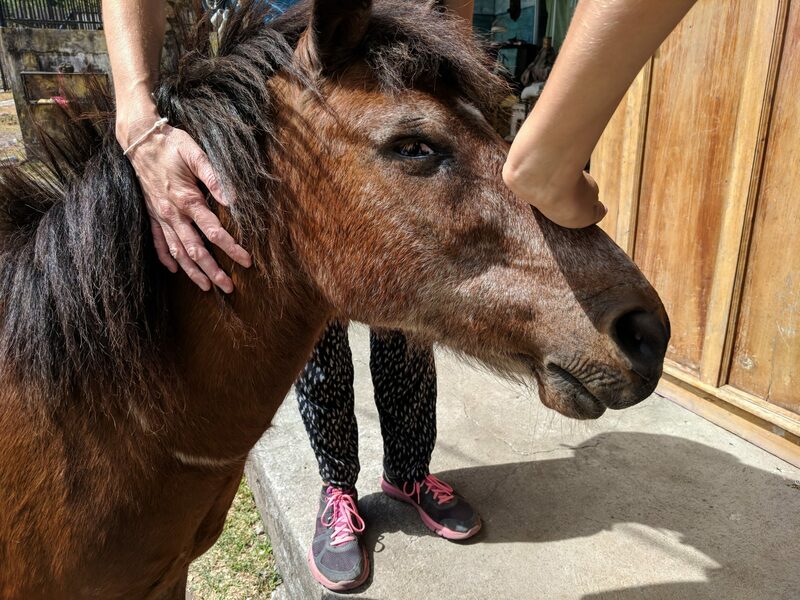 A blind horse who loved to be petted, a few goats, and a huge amount of cats and dogs with all sorts of problems. All these animals were perfectly fine with each other, I would never expect to see a cat, a dog, a macaw and a horse casually standing next to each other, but I did! Of course, all the wild animals we were able to pet, touch or feed are animals that, sadly, won’t be able to be reintroduced into the wildness. As Dorothy, the owner of the rescue centre told us, this is not a zoo. The immense majority of the rescued animals, 98% of them, are successfully reintroduced. Some of them, however, will never be able to live by themselves. 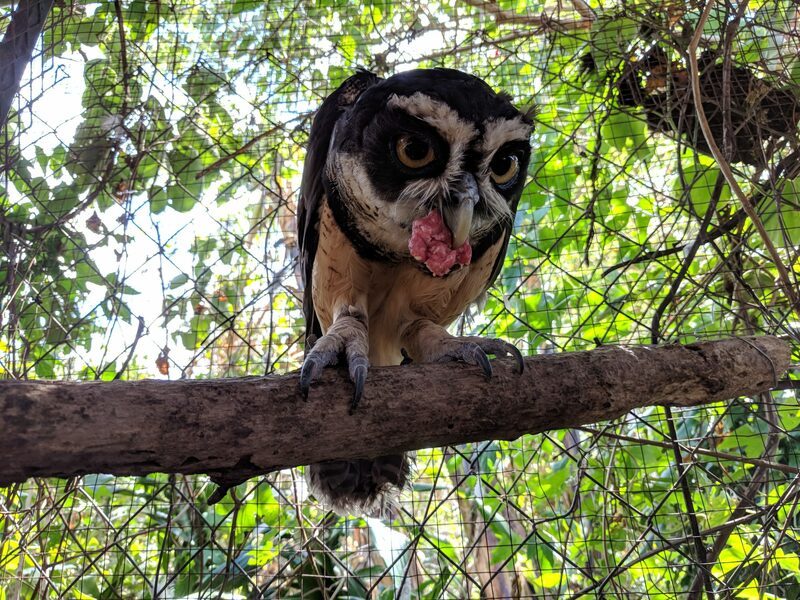 An owl with a broken beak or a macaw with a broken wing can’t be released since they wouldn’t be able to survive by themselves. The story of Dorothy and her family is itself very interesting. 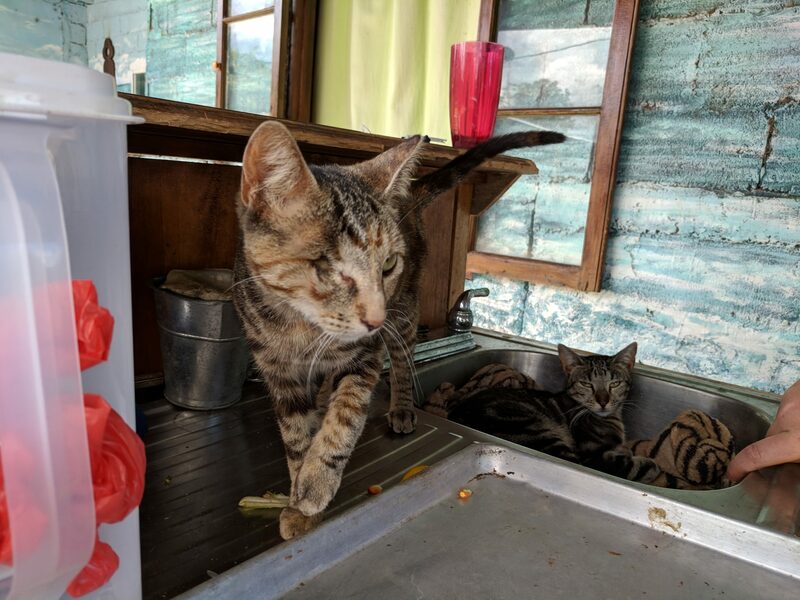 She moved from the USA to Panama nine years ago to retire, but people started bringing to her animals since she already had experience rescuing them in the USA. 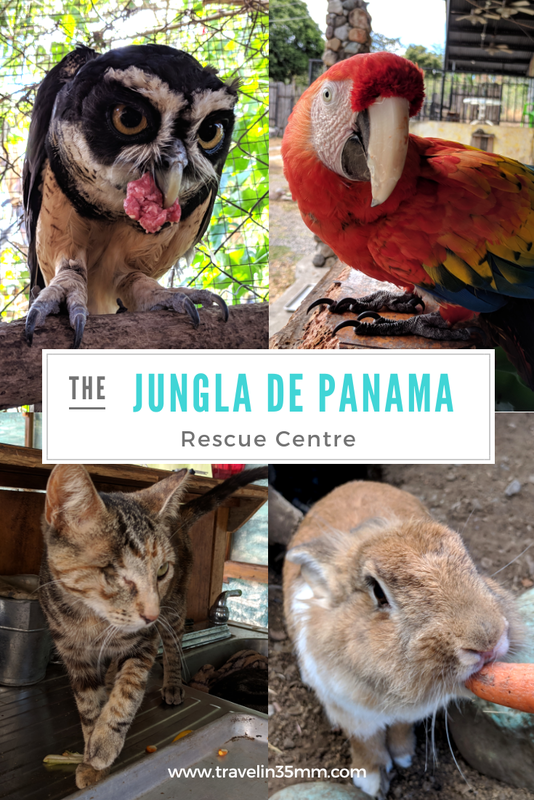 Fast forward one year and Jungla de Panama was founded, maybe ending the idea of retirement, but starting a new happy relationship with all these animals, with the help of her kids, of course! Dorothy clearly loves what she does, and in her own words, every day is a new adventure. 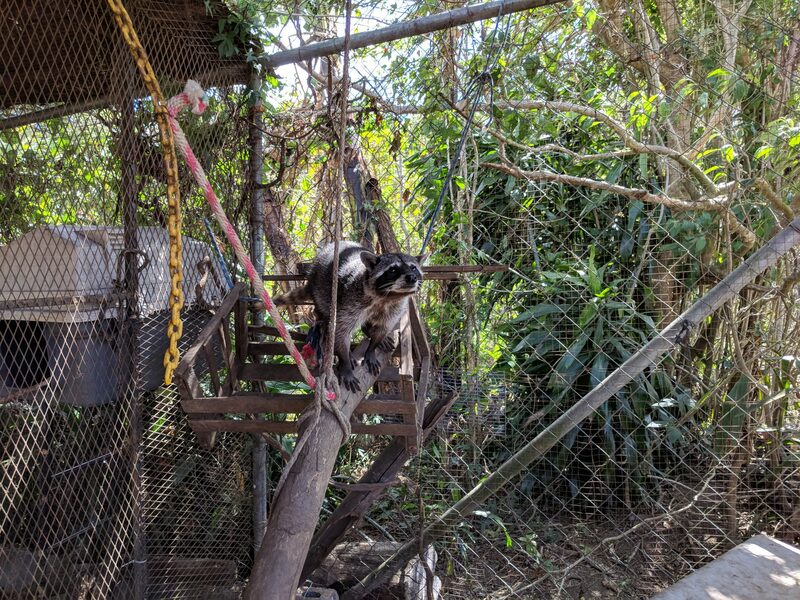 If you have some time in Boquete don’t forget to visit this wonderful place that helps so many animals. Entrance and guided tour are completely free of charge, but keep in mind that maintaining all the animals is very expensive, and a small donation can help a lot. The recommended amount is 10$ for adults. It is a great opportunity to help the local fauna and you will have the chance to watch closely a lot of animals that are usually incredibly difficult to observe in the wildness. And, of course, remember that as Dorothy mentioned it’s a rescue centre, not a zoo. They won’t have a huge variety of animals because that’s not the point, in a rescue centre releasing animals is always a sign of success! You can also stay in the rescue centre if you want, as they also work as a hostel. Additionally, you can help as a volunteer and take care of the animals. Thanks to Dorothy and her family for showing us the rescue centre and share with us their story! 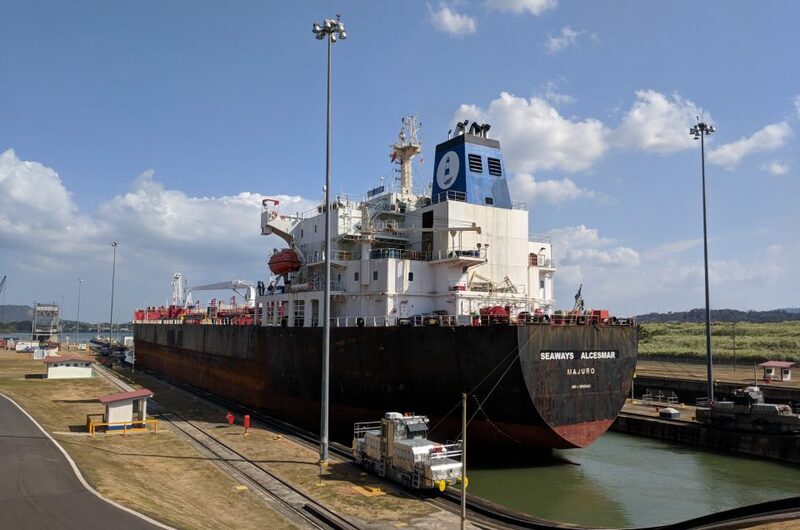 You can check this interview to learn more about her and the story of Jungla de Panama.